Automotive Shock Absorber that is a mechanical device designed to smooth out or damp shock impulse. It converts kinetic energy to thermal energy. The provided shock absorber is used in conjunction with cushions and springs. Offered shock absorber contains spring-loaded check valves in order to control the flow of oil through an internal piston. 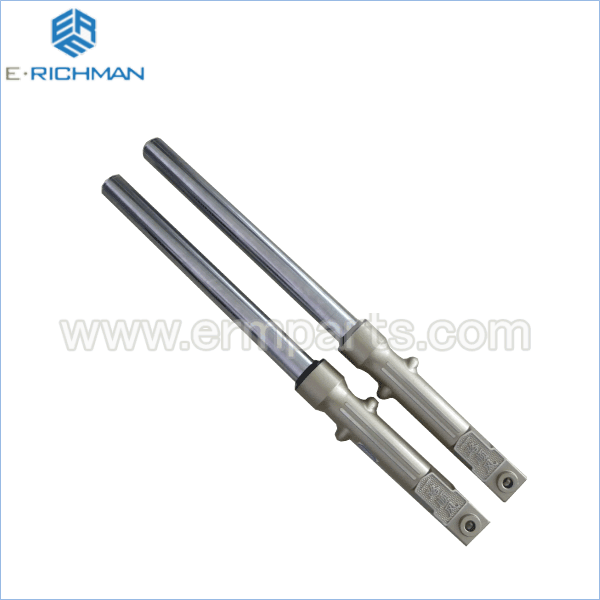 The products come under this category are motorcycle shock absorbers, auto shock absorbers, automobile shock absorbers, Shock absorbers, capsule shock absorbers, double acting hydraulic absorbers, vertical dampers, lateral shock absorbers, auto shock absorber, plastic shock absorber and many more. Highly demanded in automobile industry, it reduces the effect of traveling over rough ground, leading to improved ride quality and vehicle handling. The provided shock absorber is made available in different specifications for our clients to choose from. Also, offered range includes Air spring, air shock absorbers, AV mounts, rubber bellows, etc.